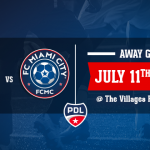 FC Miami City is proud to announce that we are continuing our partnership with The Spot Barber Shop and we feel immensely honoured to have such an association with the best Barber Shop in South Florida. Juan Carlos Perdomo (The Spot Barber Shop) added “Being a Florida based business we believe it is important to show our support for the local community and the surrounding area. At the Spot Barber Shop, we are avid fans of the team, and of the sport itself. 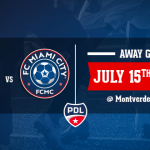 “It has been a long and positive relationship with FC Miami City and we’re delighted to continue that association into the 2016/17 season.” Perdomo added. We are looking forward to our continue working with The Spot barber Shop, and supporting local shops during the season. Established in 2001, with 6 locations in South Florida, The Spot’s experience is a cut above, we combine superb service, a relaxed and sophisticated classic style into an experience where the goal is to make you feel great and look even better. 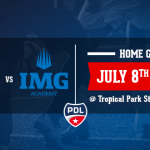 Registration for the 2017 PDL Tryouts are open!